Earlier this afternoon, a farmer from a mile down the road came up our way to share that one of his calves had gotten out. Unless you are a farm family, you may not understand or appreciate what that may mean. It might be a cherished pet, but more than likely it might be the money to pay an outstanding medical bill or be the very meat that will feed your family. When a farmer hears of a cow out or some other issue on a neighboring farm, there is no need to think about what to do. You just go help! The boys pulled on their boots and were gone before being asked. They spread wide knowing how to corral a calf that was enjoying it’s new found freedom. They knew they had to act smart since this calf outweighed them and could out run them. One can not underestimate the craftiness and danger of working with animals. Our property was the closest so the calf was herded into a lot outside our milk parlor for holding while the owner got a trailer down to our place to load it and take it back home. So what is the big deal? Are we heros? NO. but that is just it. Community is being able to understand the struggles of another and just doing what is needed to treat that neighbor as you would want to be treated yourself. I felt compelled to sit down and write as there is so much that is being done and seen in our own nation in the name of “Community”. There is so much that may be called Community, but is so far from it. Community is not beating someone because they have a different skin color (and no, I don’t care what color the skin is of the attacker or the victim). Community is not setting fire to personal property because you disagree with how someone voted. Community is not waging war on the police officers that are just trying to enforce the laws that the American people put into place through their personal votes or those that they put into office. Community is not forcing your own personal values on others to the point of destroying their business, places of worship, or homes. Community is not about self worship, but putting others before yourself! There is no greater example of this type of love than what Christ did for us in coming in flesh as we commemorate His birth at Christmas and His ultimate sacrifice and gift at Easter. So let us not lose hope, but return to the greatest commandments given to mankind. Let us love God first and each other more than ourselves! With each pregnancy, my husband and I chose our children’s names with purpose; for us, carrying meaning was critically important. This should be an indication of the intrigue and excitement with which I approached the opportunity to review the Name Meaning products from CrossTimber. Our family received a free Personalized Plaque with Name Meaning and Bible Verse. The challenge with this review was in deciding what name to have included on our personalized plaque. As our children have grown, we have shared with them what we knew of the meaning of their names and why we chose each. Our boys have Biblical first names and we could therefore do searches in the Hebrew for their meaning. Our second oldest, Michaela, was given the female version of Michael, which means One Who is Like the Lord. Our oldest daughter, however, is named after my mother. Her given name is Rucia. We had no idea what the true roots of this name were when we named her. My mother passed away when I was a young teen. Her legacy has lived on decade after decade because of her beautiful character and the way she touched lives in a special way. It was this essence of who my mother was that drove us to select it as our first-born’s birth name as well. And selfishly for me, it was a way of keeping my mother alive into future generations hoping that the stories that we share of who she was would continue on to our children, grandchildren, and great-grandchildren. WOW, WOW, and WOW…. I honestly have no other word. To see these words associated with the very meaning of my mom’s name was like closing my eyes and soaking in an embodiment of who she was. It is literally bringing tears to my eyes to even read those words as I type this post. We strove to find meaningful names for our children with a hope of who they would become. I never considered the meaning of my mom’s name, but my hope for our oldest was that she would encompass the character I saw in my mother. To find in hindsight that who my mother grew to be was in actuality the very meaning of her name was an incredible blessing! This review that started out as a nice, sentimental gift became so much more. It came to signify a confirmation of a life lived well and a name so rightly chosen for a woman who was filled with the best of intentions and integrity; compassionate; an incredible friend to many, and a true bearer of Light and Truth as she shared her passion for her Savior and Lord. It was like having a piece of her back. So much so that I am seriously considering hanging this plaque above my desk as a reminder of who my mom was and providing inspiration to me on days when it is hard to be compassionate, one of integrity, a loyal friend, and someone ready to point others to the True Light and Truth that makes the rest of life worth living. Parenting can be one of the biggest blessings in life, but it can also be hard. When our children were small, I used to joke that as soon as I figured our children out they had the nerve to change. Little did I know how the challenges in parenting would change as our children grew into young adults. Young adults who would need to wrestle with life and test their own beliefs and convictions before settling into who they were. You see, I would guess that my mom was not always the person that this plaque exemplifies. I know that I am not who I was years ago as a teen and young adult. Life has a way of changing and defining us over the years. What does that have to do with a plaque. As a parent, I have come to realize that the value that I see in a name is more like a prayer uttered in hope of who my children will someday work out their convictions and beliefs to be and not a guarantee of who they will become. Who they will become is between them and God, but in bestowing a name upon my children with meaning I convey to them a heritage of hope of character of what holds significance to me as their mother. A legacy from my heart to the words that they will scribe each time they place their signature on a document of importance. Each time it pops up on their college paperwork, their driver’s license, their marriage certificates, and maybe someday their children. So, I share with you the meanings of each of their names asking that you join me in praying that as they grow they will learn a little bit more about their mother’s heart as they see the meaning and significance in their names that were so specially selected for each of them at the time that their dad and I met them for the first time face to face. There are not enough positive words to give meaning to that name as well. What a company! When considering how to use the credit we were given for a Personalized Name Plaque, I had the opportunity to chat with John, the owner of CrossTimber. His passion for finding the meaning in names and the heritage and significance of them is evident throughout each dialogue and conversation with him. He shared with me not just the meaning of the my mother’s name, but shared the meaning behind each of our children’s names as well as my own. I think I forgot to even share with him my husband’s name or I am sure he would have joyfully researched it as well. 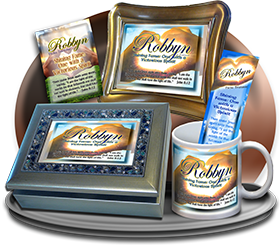 Once I determined which name(s) to focus on, it was fun going through the website in picking out the background for the plaque and considering other options, such as an upgrade in the frame or other types of products that would have the same name meaning on them. The ordering process was easy and seamless. You really can’t find customer service better than what I experienced in working with John at CrossTimber. By the end of the process, I felt like the actual plaque will be cherished, but the blessings I received went much further beyond this. It touches on the legacy I bestowed on my children through their names in the things that I hold dear to my heart and hope that they will always remember me by as well. Thank you, John, for a fantastic experience that will carry meaning in our family for what I hope are generations to come. So many students are really resistant to fulfilling the high school graduation requirement for foreign language studies. 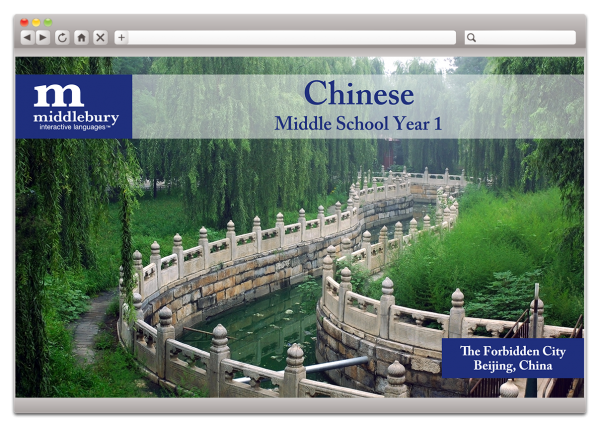 For this reason, I was thrilled to be a part of the Homeschool Review Crew‘s review of Middlebury Interactive Language‘s Middle School Chinese I. My hope was that in getting a jumpstart on foreign language while still in middle school that it would be a much smoother transition in high school. We have not done foreign language consistently in our homeschool. Our son that reviewed this program was also part of our review of Middlebury’s Elementary Chinese I program. So when given this second chance a few years later, he actually was thrilled. I think we are moving in the right direction…. For this review, our family received a user account for one student to use the Middle School Chinese I course. This course is designed to be completed within a semester so we therefore were given a 6 month subscription. Included in the subscription is the course content and the parent dashboard. Our son used this course primarily on our family computer. However, there is an app that can be downloaded on mobile devices for use on the go. We did download the app on to our iPad for days when our family had more technology needs than could be accomodated by our one computer. The software was fully functional on both devices. Our son could also pick up right where he left off since this is an online resource. This is a curriculum that is truly done independently by the student. Our son knew how to log into his account and it would take him directly to where he left off. At times, he would click on the Table of Contents in the left sidebar, just because he is the type of kid that is always asking, “How much more?” He does not mind doing the work, but likes to visually see his progress. Each lesson took approximately 30-45 minutes to complete, which I felt was extremely reasonable at the Middle School level. He found he could concentrate better and hear better if using headphones with a built-in mic. I think this really did help him in blocking out background noise. This was critical in that the program incorporates lessons which reinforce reading, writing, and speaking the language. The Chinese program has an extra layer due to the nature of the language. Traditional written Chinese has characters and symbols that are not like our alphabet. Josh did learn to read the traditional Chinese as well as select the properly written words for sentences and in response to listening exercises. For the written part of the language study, the program does have the alphabet based translation of the traditional symbols. This enabled him to be able to type the words out as well. In addition to the academic study of the language, its syntax, and speaking of it, our son was also introduced to the culture of China as it was embedded into the lessons. I honestly think this was his favorite part of the program. Middlebury Interactive Languages gets two thumbs up. The first for the learning that I saw happening and the second for creating a genuine interest in our son in foreign language studies. Having a parent dashboard definitely allows the parent to know exactly what has been completed and the level of mastery that the student has accomplished. Our son also knew how he was doing as each screen of work that he accomplished was graded before he moved on. He did have the opportunity to redo lessons to help build mastery. Like math, foreign language does build on itself so mastery is very important. Most of the time, I actually did not even go into the dashboard as our son was excited to share what he was learning. He knew that he was acquiring mastery of a new language; there was no question. Life presents itself with enough battles. Finding a foreign language program that my son will do without a battle almost makes it a winner on that fact alone. He not only recognized that he was learning to speak and read Chinese, but was excited about it. He is a child that likes to look toward the future and had already put the pieces together in realizing that this was paving the way to easier and more successful foreign language studies in high school. We have thoroughly enjoyed this review and will be continuing on with Middlebury Interactive Languages. It seems to be such a good fit for our son that I would see us continuing to extend our subscription through his high school years. Chinese is not the only foreign language to choose from. Middlebury also offers courses in Spanish, French, and German. These are offered at the elementary, middle school, and high school levels with multiple courses at each level. Additionally, there are course offerings for AP French and Spanish. If you are interested in a different grade level or language, please be sure to check out the other reviews from the Homeschool Review Crew. I would imagine by now that it is not a well hidden secret that we are a family that loves to read. We incorporate great literature in our studies, but there are also times that we just love to snuggle up for some pleasure reading. 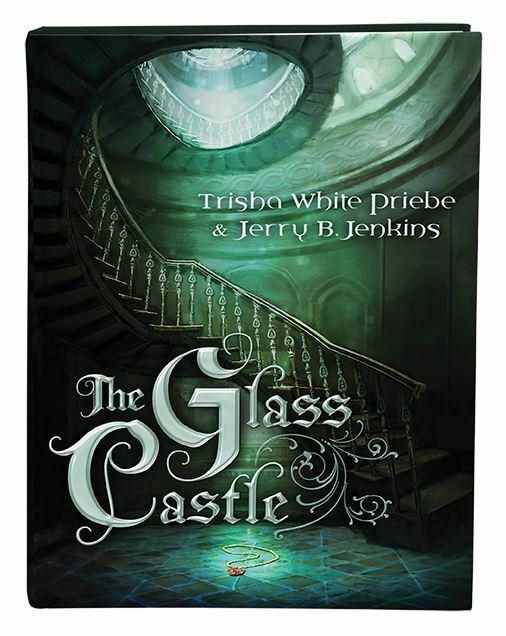 Our latest review is from Shiloh Run Press with their new release, The Glass Castle by Trisha White Priebe and Jerry B. Jenkins. When we saw that Jerry Jenkins was one of the authors, we knew we were in for an action packed adventure that would be hard to put down. For those of you that do not recognize his name, Jerry Jenkins was one of the authors of the well-known Left Behind Series for both adults and children. This novel was written with ages 10-14 in mind, but is certainly an engaging read for those older as well. Depending on the child, you may wish to reserve this for future reading pleasure if younger than the recommended reading age. Allow me to explain by telling you a bit about the book. The Glass Castle is a 250 page book broken into 41 relatively short chapters. The text is medium-sized making it inviting for younger readers. The story line is fast-paced from the very opening chapter. It begins with Avery and her younger brother, Henry, wandering the woods when they suddenly get kidnapped. When set “free”, Avery finds herself within the walls of the King’s Castle, but without Henry. In her desperate attempts to find her brother, she comes upon the inner circle of the other children who have also been kidnapped. The strange coincidence is that all of the children are orphaned and all 13, except Avery. Avery is 13, but her father is alive and waiting at home. Her mother disappeared two years prior, but was never confirmed as having died. The intrigue of the storyline continues as Avery seeks her freedom and reuniting with her brother. Will she find him? Who do you trust? The children were brought to the Castle in attempt by an old woman to protect them. Protect them by hiding them in the least likely place – right under the king’s nose in his own castle. For this reason, the children realize that they can not distinguish which adults to trust and which they must stay hidden from. As Avery learns more and more from the inner circle of children, there is one realization that hits her. The things she is learning about life in the castle tie into stories her mother told her from her younger years. What connection does her mother have in this new sequence of events in her life? Are you curious about the answers? You will be even more so if you begin reading even the first couple of chapters of The Glass Castle. My 12 year old son and I both read the book independent of one another. What did we realize? The plot is very addictive – you will not want to put this one down. There is always an imminent sense of danger and adventure, but there were not any scenes in the storyline that would prevent me from having my child read it. Children who have an unusually high fear of being kidnapped, have been kidnapped, or those that have been adopted, may be more sensitive to the turn of events and themes of the story. Parental discretion is definitely warranted in these cases. It went by too fast!!! The sequel, The Ruby Moon, won’t be out until Fall 2016. From the moment I knew that our family would be reviewing the Forbrain headset from Forbrain – Sound for Life Ltd, the wheels in my brain began to really turn as to how we would push it to the limits. The company’s website touted that it had applications for short term memory improvements, increases in attention span, clarification of vocal patterns and speech clarity, and targeted response in the area of reading comprehension. My background in music therapy as well as being a homeschool mom to a child with some special learning needs laid the ground work for being intrigued by what this device would accomplish. When the package arrived in the mail, we found the headset exactly as pictured on the company’s website. It came in a specially designed hard-shell case with a foam insert that provides optimal protection of the device when not in use. Also in the package were a charging cable, user guide, and educational support guide. In the event that there is a problem, the company offers a 2 year warranty. They are so confident that you will see the benefits of using the device that they also offer a 100% satisfaction guarantee within the first 30 days. The Forbrain – Sound for Life device is most definitely not your regular headset. A lot of scientific research has been done leading to its development. Forbrain is an internationally based company with offices here in the US. This is important as researchers and scientists from around the globe have contributed to this design. The research spans the academic areas of speech development, auditory processing, and the cross over into the realm of reading and reading comprehension. The outcome is this specialized headset that utilizes bone conduction as well as the auditory feedback loop to impact the benefits identified above. To read some of the research related specifically to the headset from Forbrain, please follow this link. We chose to use this primarily with our teenage son. When he was just a year old, he had suffered significant hearing loss due to repetitive ear infections. During one of the episodes, his left eardrum ruptured. As he got older, he no longer experienced difficulties with ear infections, but his full hearing was not restored. His speech was significantly delayed. As he matured, we found that he struggled some with word finding skills. His struggles with reading were further compounded by issues with visual tracking, split dominance processing, and dyslexia. We invested an incredible amount of hours in various therapies. Now in his teenage years, dyslexia is no longer an issue and we have found methods and coping skills to compensate for some of the other struggles. However, we have always wondered how much of our son’s challenges related back to his ear infections when he was a baby. The Forbrain headset does utilize bone conduction. This is significant in that if there were something anatomically or functionally wrong with the parts of the ear, the vibrations upon the bones behind the ear would enhance hearing. On a very basic level, the best way that I can describe this is on the same principle of vibrations that allows children to connect two plastic cups together by a long string and be able to hear one another. On a more advanced level is the use of this same principle of bone conduction is utilized in certain types of hearing aids. A regular headset that simply projected louder or clearer sounds into the auditory canal would not have the same impact if the parts of the ear were not working as they should. Our son did say that he could hear better using the headset. This has prompted me to put on my to do list to have his hearing checked once again. From an educational standpoint, I absolutely fell in love with the fact that my son was literally hearing his own voice played back through the headset. The design of the device actually reduces the background or environmental noise. I think this aspect is huge. My son was now able to read his schoolwork outload and hear himself as he read. It revealed to him times when he read words that just didn’t sound right prompting him to ask for clarification on new vocabulary. This also took his reading assignments from simply a visual exercise to tapping into his auditory learning abilities. I love whenever we can take learning to a multi-sensory approach and the Forbrain headset allowed us to do that. This is of benefit to not just with special learning needs, but also any of us. The more senses we can touch in presenting new material the greater associations that are built in the neural pathways of our brain. A side benefit was that our son instinctly began to speak clearer now that he heard how he can sometimes mumble while speaking very softly. So what did we conclude? Our son’s reading comprehension and attention to what he read definitely increased. As a result, his confidence in his schoolwork as well as interest in discussing the content of his reading increased as well. My observations were further confirmed when I had one day picked up the headset and put it away. He came looking for it! He realized that his learning and ability to accomplish his work were greater when using the Forbrain headset. This was enormous as he now felt confident to work independently. The materials that accompanied the device suggested that it be used for about 20 minutes a day. As my son realized that it was helping, he wanted to use it for greater periods of time. However, we found that there truly was a reason for this recommendation. The device is helping to build new auditory pathways in the brain. For this reason, it can be exhausting and taxing to use it too much too quickly. We became very targeted in how we chose to use it to help maximize the benefits from its use. We do anticipate seeing a great integration of his thought processes in building greater communication pattterns in his brain that will help to further overcome the split dominance in his thought process. Over time, he did find that he was able to use it for longer periods of time or for multiple 20 minute sessions per day. I honestly can not say enough good things about this device. The information on the Forbrain website is definitely not a bunch of marketing spin. We would highly recommend this device to those with hearing, speech, reading, or attention deficit issues. I could also see remarkable applications for vocal performers. As a matter of fact, I am sure that this list is far from exhaustive in identifying the various individuals that would benefit from a Forbrain – Sound for Life headset. I really wonder what the implications would be for nonverbal individuals who are just beginning to overcome barriers in expressing themselves. My thoughts specifically go to a friend who also has a teenage son. Her son is on the autism spectrum and largely non-verbal. I do wonder what language gains he would have with the assistance of the Forbrain headset. 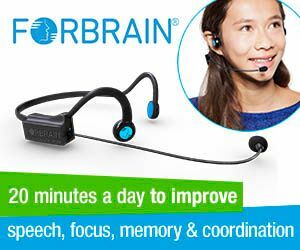 As much as I found benefits to the Forbrain headset for my son, I have to share with you that we no longer have our Forbrain device. My older brother suffered a massive stroke over 4 years ago. His expressive language skills were greatly impaired as a result. He continues to receive speech therapy, use a special tablet to assist with communication, and do speech exercises at home. My heart breaks for him as he is aware of what is going on around him and has so much to say. He becomes so frustrated in not being able to find the words to share the thoughts in his head. With the help of my sister-in-law he shares that it is like all his words are locked in a filing cabinet in his brain, but he is unable to access the key. Unfortunately, the neural pathways that would unlock his speech were destroyed by the stroke. Much of his therapy is directed at rebuilding new pathways to unlock his ability to engage in conversation and convey his thoughts. After seeing the results we have had with our son and reading the research supporting this device, I gave our Forbrain to my brother. He has since taken it to his speech therapist who has now also researched it. She feels that it may have a lot of promise in doing exactly what it claims to have the potential to do. My prayer is that it does offer him a breakthrough that he has worked so hard for. As always, I encourage you to read the other reviews by those on the Crew that have also used the Forbrain headset with members of their families. I was sitting in church this morning and was hit with a memory as if it was something that happened just yesterday. In actuality, it was really 10 1/2 years ago. Our youngest had been involved in a accident that caused part of one of his fingers to be amputated. It was a surreal moment riding in an ambulance with my then 17 month old on my lap. His hand was bleeding profusely and the end of his finger was literally in a cup of ice on the other side of the rig near the paramedic. How could this be happening I remember thinking? We were transported to the local hospital which quickly determined that we would need to be transferred to Children’s Hospital in Cincinnati. Once in the ER at Children’s, the plastic surgeons arrived to begin developing a strategy for reattaching my son’s finger. I imagined that they would whisk him away to the operating room, but instead they decided to not wait for an OR to open up and would do the necessary work right there in the ER. We were in a relatively large private room. Up to this point, Josh was amazingly calm. There was no question that God’s presence was there. However, that calmness was fleeting when they began to prep him. They would need his arm restrained to a straight board while he was also placed in a papoose restraint to minimize any movements while the surgeon worked. The nurses tried to calm Josh. The recreation therapist with all of her tricks and tips was also unsuccessful. The restraints threw him into a cycle of fear and anger. The surgeon finally looked at me with all seriousness and commanded me to start singing his favorite song. I found myself frozen. Of all the things in the midst of my son screaming and holding him in his blood drenched clothes, the surgeon wanted me to sing. Wanted me to sing his favorite song. Before we had children, there was an older couple in our church that had counseled with us. When we first became pregnant, one of their nuggets of wisdom was to sing hymns over our children instead of regular children’s lullabies. They encouraged us to flood our children with Biblical truth in all aspects of their lives from the very beginning. Can you see where this is going? We had taken Wayne and Ginnie’s advice. And fast forward to that ER at Children’s hospital, I find myself frozen as the surgeon tells me to start singing my son’s favorite song. How could I? Could I really in the midst of watching my son undergo surgery, covered in his blood, and scared begin to sing Count Your Blessings. Are you getting the picture? Do you see the irony? There in the middle of that chaos, hurt, and scared feelings, God was using the surgeon and my screaming son to remind me more than anyone that even in the most difficult times, we need to pause to Count Our Blessings naming them one by one. I began to sing. As the very first strains of that hymn were heard being sung in that room in the ER, my son was overcome with complete peace. I watched in astonishment with tears rolling down my face as my son became completely calm and surrendered in the moment. I was convicted as I humbly continued singing realizing that the words were growing louder as some of the nurses joined in. Upon returning to the plastic surgery clinic a week later, it was determined that the grafting of our son’s finger did not take. The prognosis by the doctors was 100% confidence that our son would still lose the end of his finger. We turned to churches and friends for prayer. The doctors offered nothing else for us to do, but to return in 6 weeks to assess the condition of his finger as the graft died away and fell from his hand. As a determined mom, I returned home to apply natural health strategies that I thought may offer some hope and lifted each treatment before the Lord. It was now completely in His hands. After the six weeks, we did return to the plastic surgery clinic as scheduled. The doctors and nurses were in astonishment. God had allowed a miracle against all odds and restored our son’s finger. In some ways, I wish the story ended there, but God had a bigger plan. In our humanness we want to tell God thank you ever so much for that miracle. We can now use that for quite some time in sharing your greatness and power so there is no need for additional trials. But His plan is greater and sometimes that requires a journey that requires a greater uphill climb and battle. Just 10 days after that follow up appointment in the plastic surgery clinic, our family would face one of the most horrific and surreal experiences of our life. Yes, more horrific and surreal than your child having his finger amputated. In the days to come, I remember people asking me in disbelief how I could be still standing in the face of the adversity that we were facing. I shared countless times in those days how I served a God that grows back fingers and performs miracles. I shared with them the important lesson I had learned in Counting My Blessings and Naming them One by One. The days were not easy. Many challenges would come to us especially over the course of that year. However, I could still stand because I knew the author of the miracle and the one worthy of my praise for each blessing. The key was in keeping my eyes on God and not just our circumstances, because God is always more powerful than the circumstances around us. Sometimes He allows us to endure those days to show forth a miracle of healing and sometimes it is because we need the blessings of initial challenges to carry us through those that are yet to come. And yes, there are those times that through sharing these experiences, we can also encourage one another. Keep counting your blessings. Say them out loud. Record them in a journal. Share them with a friend. Utter them as worship and praise to our Savior. Give them as a gift and legacy to your children so that as they grow they may too know where to focus there eyes and place their hope. The 2015-2016 school year has certainly been one of transitions and accomplishments from start to finish. We have seen firsts and lasts. We have cheered and cried. And yes, we have learned some things along the way. Our school year actually kicked off with moving Rucia into her new life at college. Once we got Rucia all settled in, our school year got underway at home. It soon became apparent that time management and doing what it took to adjust were going to be key elements to our new year. I made the transition to being employed once again. It was wonderful that my new job allowed me to work from home, but it did mean that I was not always accessible. The boys especially felt this change as they learned to work more independently and to schedule their school day to some degree around my meeting schedule and work commitments. Mom was not always available to do Math when they got around to it. They learned some critical time management skills in planning their day just as I did in juggling home, work, and school. During our studies, Josh and I traveled to ancient civilizations using great literary works as well as a combination of textbook and unit studies for history. We also spent time getting acquainted with the principles and foundations in Chemistry and Physics. Meanwhile, Zechariah and I walked step by step through the events leading up to and through World War II. He too combined his literature studies with history to really get differing perspectives during this critical period in World History. A highlight of our year was an opportunity to tour a U.S. Landing Ship that was docked for a short time in Cincinnati on the Ohio River. Michaela’s studies were focussed on finishing up some high school requirements as well as preparing her for what would come after high school. She focussed on personal finance, which is an all too important subject to leave out before preparing for life on one’s own. Anatomy and Physiology were also a heavy focus in preparing for her college studies in nursing. Time management was a critical skill used time and time again during the year as Michaela found herself too juggling responsibilities in completing her studies, playing her final year of competitive volleyball, and working part-time at a local restaurant. Outside the classroom, we also some firsts and lasts. The boys started shooting archery this year with our local homeschool group. They are fortunate to be developing their skills while also competing in the National Archery in Schools Program. They both enjoy it incredibly. It has also shown us just how competitive they are, especially between one another. As the boys began their training in archery, Michaela was bringing to a close her 8 year journey in playing competitive volleyball. She was team captain this year, which helped her to really develop some additional leadership skills. With lots of hard work, discipline, and dedication, the BCA Lions found themselves moving up to the most competitive bracket in their league and earning a 4th place ranking in the entire state. Definitely a wonderful way to end a high school career! In some ways the time has sped by and in other ways it is hard to believe that it has only been a year. Just last year at this time, we were in the midst of Rucia’s high school graduation and then adjusting to her living away from home while attending Northern Kentucky University. We find ourselves with yet another wonderful graduation celebration and the upcoming transition of helping Michaela get settled into her new life as a college freshman. I think I could truly have 15 children and never get used to this growing up and transitioning into adulthood. I guess we all get growing pains of one sort or another. We are incredibly proud of both of our girls, but also grateful to have our boys home for a bit longer. Congratulations, Michaela, on a job well done! We recently had an opportunity to review a new Math supplement and found ourselves questioning whether it couldn’t really be a full math curriculum. When this opportunity first arose, I really was convinced that there are small variations, but most math programs are the same. I now stand corrected. We reviewed the LearnBop for Families product with the Family Plan options that allows for 2-4 students. This is a brand new math program to the homeschool market from LearnBop. We received the 12 month subscription to this program that allows a full range of use with all the content from grades 3-12. LearnBop for Families is an online math program that offers learning through video based instruction along with problems for concept mastery. The structure of the program allows for movement between grade levels, which is an awesome feature for students migrating in from other curriculum or those seeking to just utilize the program for skill reinforcement before returning to a primary curriculum. I got to thinking how great this feature would be if I felt like my child was struggling with fractions, but right on target with his other math concepts. We could go back as far as we needed to and work forward on just the modules dealing with fractions. Now how cool is that! After the initial account setup, which takes literally minutes, the student is ready to just jump in and get started. Our son would log into his account and be met with a screen that looked fairly consistent from day to day. As you can see from the image, there are generally two to three video segments that teach the lesson content in increasing degrees of complexity. The fact that the material is layered in this approach with three short videos as opposed to a longer single video is a real plus. I found my son more inclined to going back to re-watch any videos he was fuzzy on. My guess is that he would be less likely to pause and rewind in the middle of a longer video or to rewatch the whole thing if he was struggling with grasping the material. After watching the videos, the next step would be to solve the Bops. There are a series of questions that the student needs to complete successfully in order to move on to the next stop in the Learning Roadmap. Now, get ready! Here is the next cool feature. The software is so incredibly intuitive. As our son completed each Bop (question), the computer determined if his response was correct or not. If it was correct, it would show his progress in reaching the mastery level for that section of the current unit he was working on. If he had not answered the problem correctly, the program would automatically have him work the problem in a step by step format with each step on its own screen. It was very intentional in pacing the student to complete each small step before moving on. Because this is built into the logic of the software, there was a huge implication for the mom-son relationship. No debating over going back over problems that were missed! If he missed a problem, the very next thing he had to do was to work that specific problem in step by step fashion until it was completed successfully. There was no way around this feature, which this mom loved. It was also a real motivator for our son who quickly realized that getting through a “lesson” would take considerably longer if he had to do too many problems step by step. I found his dedication in doing his best the first time was greatly increased and we had no disputes on what was required next. After each problem was successfully completed, the student would be shown a graph of where they were at in mastering the topic being studied. This was shown in a graph format with the program defaulting to a 90% accuracy for mastery. The percent that the student achieved was a combination of the number of problems completed as well as accuracy. As you see in the adjacent graph, our son had not yet achieved the mastery level. He had successfully answered the questions thus far, but simply did not do enough problems in the sequence for the program to exhibit concept mastery. Generally, he would need to answer at least 5 questions to master the topic if his accuracy was high. He was required work in the program for about 30 to 45 minutes each day. There were times that this meant that a lesson had not been completely finished. Guess what? That was absolutely not a problem as the program remembered just where our son left off. When he logged back in the next day, it automatically came back up to where he was. What’s more is that if I decided that we needed to change course and focus on a different skill or maybe move back or forward a grade level, it was very easy to do this in the parent dashboard. The parent dashboard was also a great find in this program. I could log into my account and quickly see my son’s recent activity in the program. It clearly showed time spent, lessons completed, and his mastery of each lesson. In most of my reviews I try to give a balanced view of the things that worked for us and the areas that could use some improvement from our perspective. I have to say that I am struggling. There just are not any obvious areas that I feel would work better if they were presented differently. The biggest question that remains for me is in still trying to define this program as either a math supplement for concept reinforcement or as a complete math curriculum. It would honestly be a tough call. As always, I encourage you to check out the reviews from others on the Schoolhouse Review Crew. There were families using all different grade levels of the program so I am sure there is a review for whatever grade level your child would most likely place into in using LearnBop for Families. Those of you that have been following our homeschool journey over the years know that our family does not stick to one strict method of homeschooling. In being more eclectic in our approach, I love to get to know what companies can be depended upon as we reach into Classical Education, Charlotte Mason, and other styles. We recently received a review copy of Traditional Logic I Complete Set from Memoria Press. I was thrilled as Memoria Press is one of those companies that you can depend on in the Classical Education circles. As the name suggests, we received a complete set of the Traditional Logic I set. This includes student workbook, the quizzes & tests book, the teacher answer key, and the instructional DVDs. Everything is literally included to allow the parent that knows absolutely nothing about Traditional Logic to provide a course of excellence to their child. Traditional Logic I is marketed for students in grades 7-12 with an emphasis on mature 7th and 8th grade students. I would wholeheartedly agree. Unless your child is truly advanced in their studies and also mature in how they handle their schoolwork, I would recommend reserving this course for the high school years. The course is designed to span a semester in length, which would lend one to be able to use it for a half credit in high school. The 15 weeks in a semester could be filled in covering the Introductory Chapter, the 13 individual chapters, plus a week to study and take the final exam. The main focus of this course is on Traditional Logic with an emphasis on Formal Logic as opposed to Informal Logic. This course could truly be done with the student working independently, with the parent joining the child with directed discussion around the content of each chapter, or be used in a group setting such as a homeschool co-op. There is a video that contains all of the instruction for the new material being presented. This is watched and then followed by daily assignments that span the week. Although the chapter is not long based on a count of pages, there is a lot of content that is best consumed in more bite sized morsels. The student is therefore directed to read certain sections of the chapter before proceeding with their daily assignment. The assignments are a series of questions that help the student to fully digest the content of the lesson. There are 4 days worth of exercises per chapter, which we covered on Monday through Thursday. On Fridays, my daughter was asked to review the chapter and then take the chapter quiz. I have always felt strongly that logic and critical thinking are subjects that all students should be required to take. Being able to understand the proper structure of an argument, its fallacies, and how it defends truth are essential to so many other areas of our life; not the least of which is even our faith. So much of the basis of Apologetics is founded and supported by formal logic. Depending on the career that your child wishes to pursue, instruction in formal logic could begin carrying even more weight. For example, our oldest daughter is pursuing a career in the area of law. I am so thankful that we incorporated the study of logic into her high school curriculum. A challenge in our society today is the belief that in order for education to be of high value it must entertain. We unfortunately we see the same challenge being posed to the church and worship experiences. Traditional Logic I as presented by Memoria Press has an incredible ability to impart great knowledge in its core subject. However, it is not designed to entertain. It is designed to instruct. This is not just the presentation of formal logic, but also logic formally presented. The serious minded student should be able to proceed through this course without difficulty and will gain great benefit from doing so. I loved the fact that everything that my daughter needed to really study formal logic was included. As a parent that does not have a great deal of confidence in this area, I can not emphasize enough the value of the instructional DVDs. These are recordings of the author himself teaching the content of the course. What’s more – all of the powerpoint slides seen in the DVD segments are available for print out straight from the DVDs. This was a great benefit in printing them before watching and using them to take notes on. 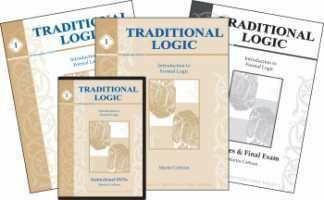 In concluding, I highly recommend Traditional Logic: Introduction to Formal Logic from Memoria Press for those that are interested in a serious minded course to master the foundational principles of the subject.